To me, there is nothing more frustrating than being hungry and not having anything healthy available. Because of this, I have learned to always be prepared by having protein bars, shakes and other quick snacks on hand. The problem with most protein bars is that they are little more than a candy bar with protein powder. Most of the bars on the market are loaded with sugar, high fructose corn syrup, hydrogenated or partially hydrogenated oils (i.e. trans fats) and other junk. If the ingredients are OK (like a Kind or Lara bar) then then carbohydrate to protein ratio is unbalanced (like 30-40 g of carbs and only 10 g of protein) it’s a recipe for a blood sugar spike! 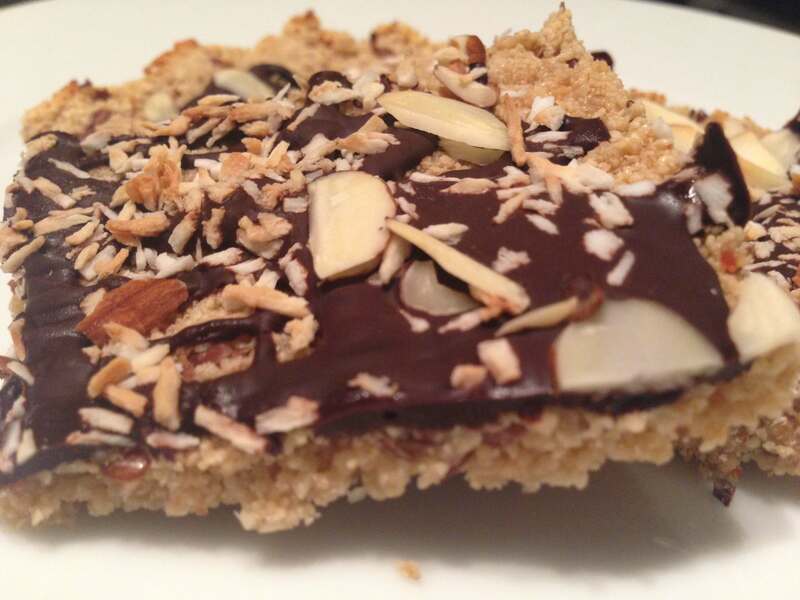 The best bar I have been able to find are the Quest Bar– they come in a variety of flavors, and are loaded with protein and fiber to keep you full… But I also like to experiment with my own recipes from time to time. Spray a baking dish with baking spray and lay down parchment paper so that it covers the bottom and about 1/4′′ up each side. Cover and put in your freezer for 1 hour (set a timer). After an hour, take the bars out of the freezer and melt the chocolate carefully in a microwave. 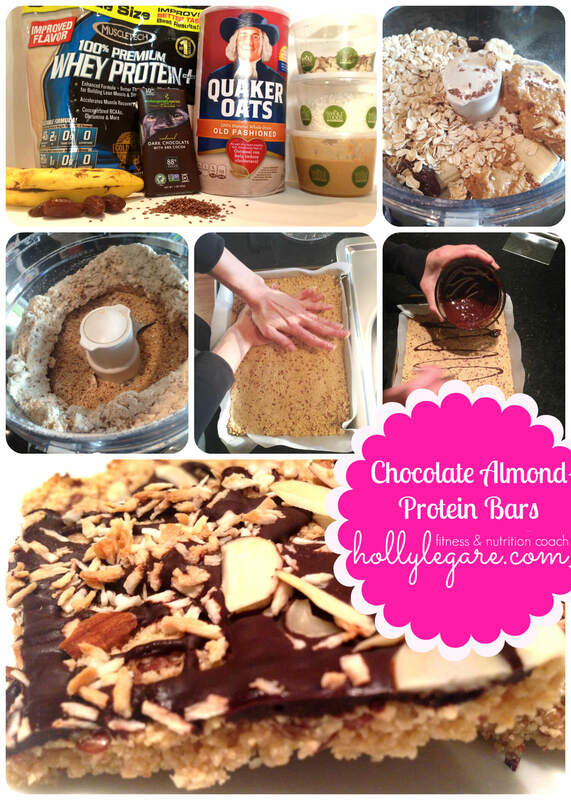 Cut the bars into 8 servings & store in the freezer for up to 10 days. Enjoy! Losing weight is easier than you think – switch to the low-carb Quest Bar.